Elite recruit Robert Howard of Cranford, New Jersey will be visiting the University of Iowa this weekend. Howard will arrive on Friday and be at the Iowa-Purdue dual meet on Saturday. Howard, who is entering his junior season for national powerhouse Bergen Catholic, was ranked number one in the country at 120 lbs. last season and is already ranked number one at 126 lbs. for the upcoming season. Howard has represented Team USA at the Cadet World Freestyle Championships the last two years and placed ninth this year. He won a New Jersey state title last season at 120 and placed second at 113 as a freshman. In October Howard dominated the field in capturing the Gold at the Summer Youth Olympic Games Buenos Aires 2018 at 55 kg/121 lbs. Howard crushed the 2018 Cadet World Silver medalist Hayato Fujita of Japan by a 13-2 tech fall and scored an impressive 10-5 decision over 2018 European Cadet champion Vladyslav Ostapenko of Ukraine. Howard won the Gold medal match with a 17-6 tech fall over Herman Almendra of Argentina. Howard has recently had an official visit to Penn State and Michigan and is ranked #3 in the Recruiting Class of 2020 and #5 on the P4P (pound for pound) ranking for all classes by FloWrestling. Iowa Wrestling Assistant Coach Ryan Morningstar had in in-house visit with Howard on September 24. Robert Howard is a h-u-g-e recruit that will make a college wrestling program and their fan base very happy when he makes his announcement. Iowa Wrestling should be able to provide a great environment for Howard. Iowa will host Nebraska in a big rivalry football game on Friday. Iowa Wrestling will host Purdue in a dual meet Saturday at Noon. Iowa Wrestling greats from the past will be announced in a special ceremony. 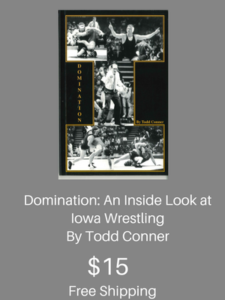 It is always a thrill for me as a fan to see the Iowa Wrestling legends of the past. 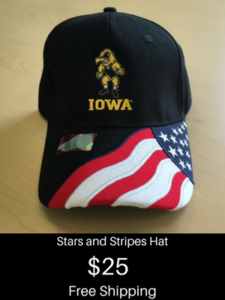 No other college wrestling program has the combined lineage and everlasting connection to the fan base that Iowa wrestlers have with the Iowa Wrestling Nation. Once an Iowa wrestler, always an Iowa wrestler. Robt. Howard, you could not pick a better school – academically or athletically for your future! I personally know Tom and Terry (hopefully your future coaches) and they will direct you in what you need, again both in academics and wrestling. As for your future. you are well versed in freestyle and can only improve immeniously under the HWC with the coaches and teammates you will have. Good Luck in your college choice, have a GREAT Weekend! !